An Old Kentucky Christmas is held at First Church of Christ in Burlington. 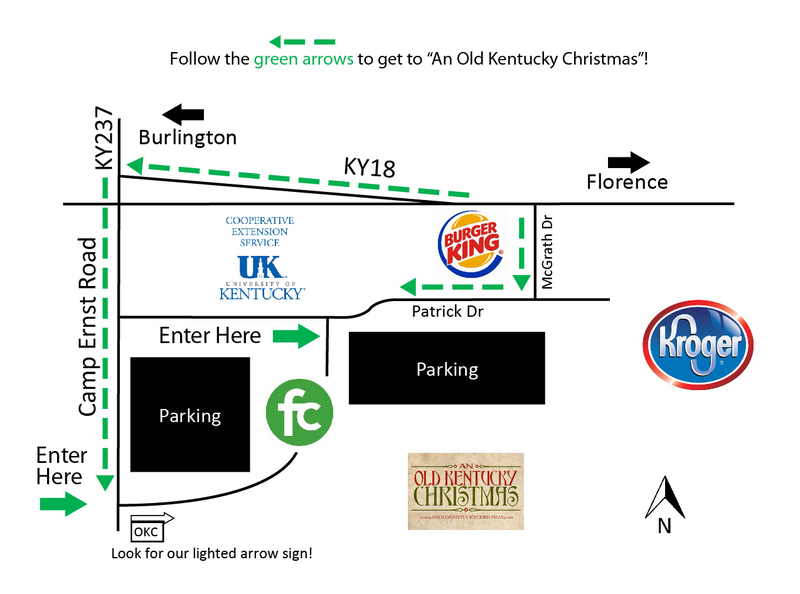 Parking is available at the church (Lots A,B, C) and the University of Kentucky Extension Office (Lot D). Please park in Lots A & B for all indoor activities (Candlelight Service, Dulcimers, Family Photograph, etc). Please park in Lots C & D for the village. There will be free hayrides from the Extension Office Parking Lot D to the "An Old Kentucky Christmas" Village.